The Park City Mountain Resort vacation packages offer deals for families, couples or even just your lonesome self. If you plan on visiting Park City, Utah during the ski season, then getting a ski vacation package deal is a must if you want to save money. Each one of the resorts offer a variety of packages with accommodations and lift tickets included. If you plan on doing most, if not all, your skiing or snowboarding at one particular resort (Park City, Deer Valley or The Canyons) then look at their deals first. 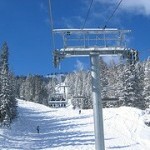 Today we will highlight what the Park City Mountain Resort is offering this 2009-201o ski season.